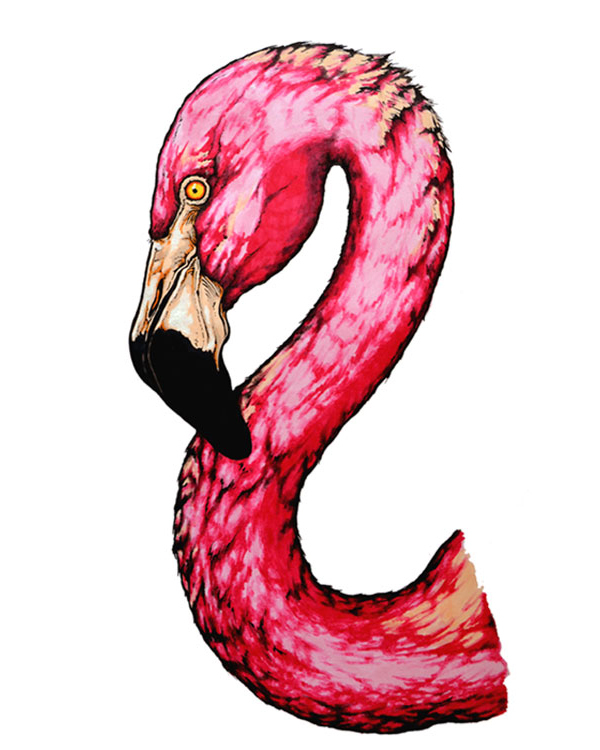 This illustration and artwork is from the American Flamingo, also known as the Rosy Flamingo, which is kind of logical since most of its plumage is pink. They often stand on one leg, we don't know why. 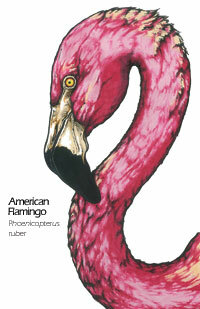 Animal drawing art description: Bird fine art drawing scientific illustration of a flamingo. Color markers and ink drawing by Madeleine Dubé. American flamingo bird drawing artwork available for sale as greeting cards, postcards and high quality giclée print reproductions (8"x10" and 11"x14"). American flamingo animal image available for licensing. Ideal for commercial uses such as print, packaging or advertising. For information contact me by email or by phone: 1-514-770-0705.